Anna Heyward Taylor was a seasoned traveller. In peacetime, she visited the Far East, Europe, Virgin Islands, Mexico; during WWI she served in the American Red Cross in France and Germany. She visited British Guiana as a scientific illustrator of plants and animals. In between these travels, she spent time in artist colonies in different places, including the States and Mexico. The breadth of subject matter in her woodblock prints and watercolours demonstrates her insatiable excitement about the world she saw. 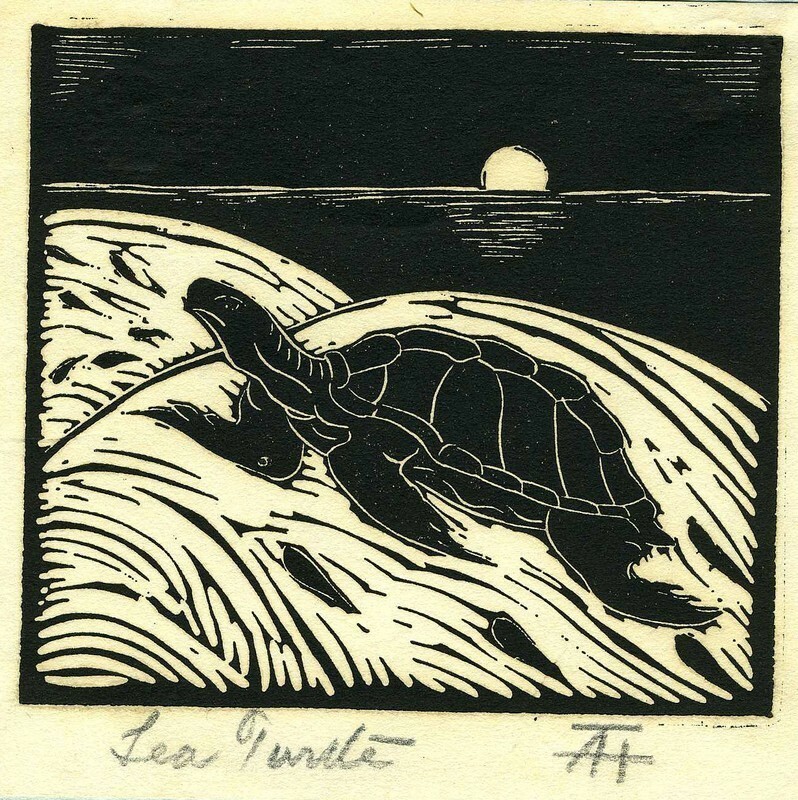 'Sea Turtle' combines that keen observation with a folk style that conjures the animal's original habitat. Ursula Mamlok said of her own music, 'My music is colorful, with the background of tonality – tonal centers … I can't shake it completely.' Her family was from Berlin; after Kristallnacht, they fled to Ecuador, from where Mamlok went to the States to study music. She remained in that country for most of the rest of her life, returning to Berlin for her last decade. She taught composition for many years, as well as producing an extensive composition output that included chamber music, orchestral works, solo music and pieces for children. 'From My Garden' is a reflective piece. Originally for oboe, horn and piano, this version is for solo viola. There is a sense of suspension throughout, and the edge that Mamlok walks between tonality and atonality is handled with care and craft.